Tumbleweed is the second part of the Nocturnes diptych. Tumbleweed is a 50 minute-long performance interweaving mist, light and sound to create a sensory experience. The audience faces a dark empty space. 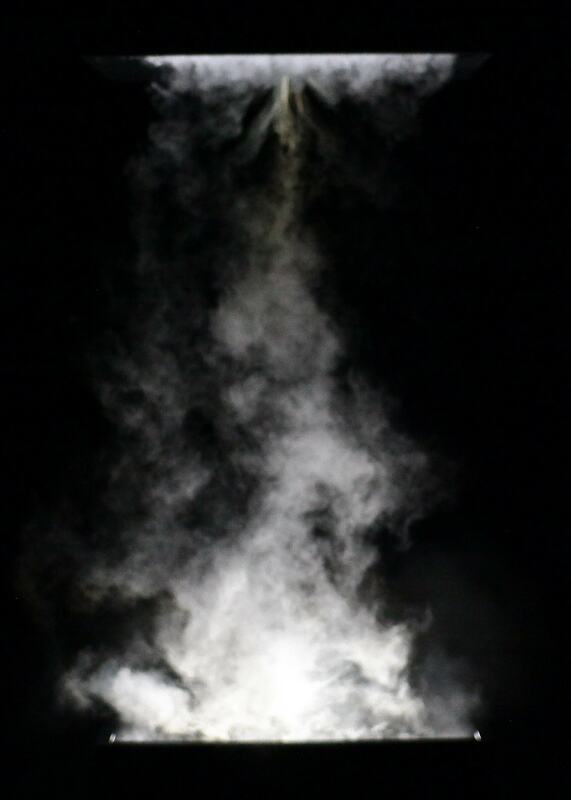 Mist emerges and progressively spreads while being illuminated by slowly changing lights. A sonic environment completely surrounds the audience. The contemplation of an abstract shape allows one to be immersed in a different temporal scale: Time slows down to the point of standing still – Then a violent interruption causes the usual perception of time to be lost. One ancestral forgotten dream was cast on the matter, has become matter. It’s an energy we cannot explain. It’s a trip through the night and the silence… both sculpting the mist, the light, the color, the sound. What we see is maybe as a negative of a photography. With support from CNC-DICRéAM, and French Ministry of Culture (Aide Individuelle à la Création, Visual Arts – DRAC Nord-PdC for the preliminary visual research. In partnership with the EDESAC team (CEAC laboratory, Université Lille 3), the SCV research cluster (iCAVS/IrDIVE, Tourcoing), and the Plaine Images / l’Imaginarium.